MARCH 20, 6 to 9 pm (EST), will mark the first Live Streaming Reproductive Freedom Festival. The festival has 25 writers, 35 actors and seven directors who are combining their talents to honor and recognize Reproductive Freedom, Health Rights and Justice. This one-night, one-time only event is being performed in New York through Words of Choice, a theater company devoted to arts and reproductive rights. It’s being Live Streamed everywhere with partner VirtualArts.TV with three cameras and real-time tweeting. Virtual audiences will feel like they are in the room. 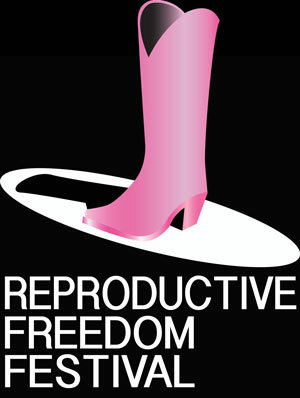 The Live Stream is accessed directly (for free) at http://reproductivefreedomfestival.org. The Live Streaming will be broadcast from New York City. At a time when reproductive rights are under dire threat, the Reproductive Freedom Festival uses the power of the arts as a potent reminder of what is at stake: bodily autonomy and full equality for all. Writers and artists are speaking out about the past, present, future and timeless nature of reproductive freedom. Writers from across the U.S., Ireland and England shared their short plays, poetry and spoken word about the past, present, future and timeless nature of reproductive freedom from an individual perspective. The selections are humorous and serious, poignant and powerful. Topics address abortion rights, birth control, adoption, activism, pre-Roe years, pregnant women in prison, gender-based violence, parenting, women who choose not to be mothers, medical care, menopause and politics. And activism! Artists and activists will speak to remote and live audiences, describing work across the country supporting reproductive freedom. People watching everywhere may tweet and chat with the performers and each other. The theatrical event follows on the heels of the U.S. Supreme Court hearing in Whole Women’s Health v. Hellerstadt, the most important abortion case in more than a decade. Writers and artists are using their words and talents to support the right of bodily autonomy, and the importance of being able to make decisions about their healthcare and reproductive decisions without the interference of politicians, reactionary forces or the government. Writers in the Reproductive Freedom Festival include Marge Piercy, Jessica Litwak, Grisel Acosta, former CWCW guest Angela Bonavoglia, Allie Costa, Judith Arcana, Jeremey Rishe, Yvette Heyliger, Mildred Lewis, Ellen Cohen, Kitty Chen, Laura Shamas, Henry Howard, Winter Miller, Margie Duffield and Greg Pliska, Mercedes Sanchez, Nicole Goodwin, Laura Zhatos, Michael angel Johnson, Jessica Feder-Birnbuam, Henry Howard, Debbie Miller, Junita Middleton, Ave Marie Cross, Melissa Bell, High School for Arts Professionals Drama Club, Abortion Looks Like, Marcy Arlin, Stephen Cedars, Samantha Lierens and Homework Collective (Ireland). Directors include Thais Flaitt Giannoccaro, Joan Kane, Atonia Pettiford, Marcy Arlin, Francesca Mantani, and Melanie Sutherland. Stacey Linnartz is the festival’s artistic consultant. Kathryn Velvel Jones is CEO of VirtualArts.TV. Words of Choice, the producing organization, has presented theatre in support of reproductive rights in more than 20 states. Sign up for Reminders, get Viewing Packets and access the Live Stream at: http://ReproductiveFreedomFestival.org. Inquiries can be sent to reproductivefreedomfestival@gmail.com. Also, be sure to check out our interviews with Cindy Cooper, one of the event organizers and Angela Bonavoglia, a writer for the event here and here.